Imagine this: imagine getting your electricity from a local wind farm instead of a coal fired power plant. Imagine knowing that every time you flick on a switch, you’re helping support renewable energy, and its future growth. The problem with this scenario is that many people think that renewable energy isn’t available to them. But, that assumption is wrong. More than half of American household have access to green power if they want it. They just don’t know it. If you’d like to get green, renewable energy for your home but really don’t know where or how to get started, then it’s your lucky day. The Environmental Protection Agency (EPA) has a very cool interactive map that shows you all the green power choices that are available for your area. You sign up through your local energy provider and viola! Your power now comes from a renewable source instead of a coal or nuclear powered plant. After I discovered the EPA Green Power Locater Map, I was super excited to sign up my own house. My local electric company, DTE, has a green power program called Green Currents. And, the Green Current power comes from wind, cow power (bio gas), and landfill gas. So of course, I signed up. Now it’s important to realize that you ARE going to pay more for renewable energy. Prices differ with each program. My own kWh price will go up 2 cents now that I’ve signed up under Green Current. I was paying 9 cents per kWh. Now I’m going to be paying 11 cents. But, I strongly believe it’s worth the extra charge. It will prompt me to use even less energy, for one. And, profits from the program go to fund other renewable energy programs. So, it’s truly an investment in green energy and future development. Plus, all the green energy through Green Currents is Michigan based. So I’m helping support my local renewable energy community with the program. I love that idea. Want to Sign Up for Your Own Renewable Energy Program? I don’t know about other programs, but signing up with DTE’s Green Currents was super easy, and took less than two minutes. If you’d like to check out the green energy programs in your own state, then head over to the EPA Green Power Locator Map to take a look! Consumers Energy also has something like this but, just to be clear about these programs…your energy still comes from the same sources it always did. The extra cost per kWh is supposed to be used to invest into future alternative energy. Just please, please, PLEASE remember that wind is not super eco-friendly! The footprint for each turbine is immense: raw materials come from South America, engineering prowess usually comes from Europe, often the wind farms are operated by out-of-state groups and ownership can also be traced to overseas owners (I worked in TX for a place run by FL Power & Light, but was owned by a Portuguese company). Also, turbine blades break often, are not recyclable and are absolutely ginormous. Some solar panels are made of recyclable materials and have an overall smaller footprint. So for the bats and the birds and all that gets bulldozed to put turbines up; go solar. Or just unplug everything. Or pick nuclear… I’m more than happy to answer any questions y’all have about wind related things, including environmental impacts. Wind is not super eco-friendly when compared to what? Maybe solar, but we can not rely on one source of energy alone if we are to reduce the amount of fossil fuels we use. When you consider the few reliable, commercial ready options that we have for alternative energy, wind becomes to look better. It is unrealistic to think that we will and we should install energy sources that do not have some sort of impact on nature and its surroundings. Zach, wind may look better because it can be done en masse away from your backyard – which is exactly why it’s problematic. Same goes for solar “farms,” too. We need to be responsible for our energy consumption *per household* and step up production on site as well as cutting back on use. Somehow we’re all convinced that unlimited, cheap energy is a RIGHT, not a privilege. Nuclear is honestly the only source right now that can keep up with our demand level; wind constantly needs to have another source on standby (West Texas has already experienced rolling blackouts). I do support a small wind turbine in a residential yard. I definitely promote solar roofs. And I even think nuclear cooling ponds are amazing for birding (even if it gets me interrogated because I’m suspect for pointing a scope at the plant). The point is that you can cover the planet with wind turbines and it won’t fix the problem; human greed. Our whole planet suffers because of it. I understand that there’s a footprint for wind, just as there is for solar and nuclear and biomass. But as I understand it, the footprint for wind turbines is much smaller than that of a nuclear power plant or coal fired plant. In my opinion, this makes it a better option. I totally agree with you, Heidi, that the ultimate answer is for us to use less. I know wind can’t support our current rate of use. But by using less and putting up more turbines (here in Michigan, they’re going up in Lake Michigan, on the water), we could rely less on sources that pollute more (like coal fired plants). Thank you guys for sparking such a great discussion about this! Heather, you just hit on a very interesting point: Lake Michigan is a very important area for bird migration. Most windy places are. When I’m talking about the overall footprint of wind, I’m talking about a 20 year life expectancy of each turbine. Where do you put monoliths out to pasture? The raw material from Brazil probably comes from much less regulated mining operations than the ones we have in the US (not that we’re stellar by any stretch of the imagination). We’re pulling in all of this stuff from overseas, trucking thousands of oversized loads hours from the ports, scalping 4-lane wide paths through miles of variable terrain (with ridiculously feeble “erosion control”) and stringing hundreds of miles of new power lines… which also kill birds. Construction crews are killing snakes for kicks as they go, including non-venomous ones, so it’s little wonder that quiet rattlesnakes are the ones surviving to reproduce. That means that we’re setting ourselves up for silent venomous snakes when we used to be given fair warning to turn and walk away. This isn’t just “wind power sprawls over the countryside,” this is actually influencing local populations of all snakes, horned lizards, etc. And I’m not even sure about the overall bird impact. Just as bee populations are making us wonder what’s going on; turbines are taking out incredible numbers of bats. Two bats are lucky to produce one offspring per year. So there’s absolutely no way that their populations are capable of sustaining high loss. On a side note, bats even roots in the bases of some turbines – so they’re attracted to the very thing that kills them. I will give Europe credit for clustering no more than a dozen turbines in very close proximity to each other. Sadly, the US isn’t following this at all in the west (and I’ve never seen large projects out east), so instead of having a major footprint on a relatively small area (12 turbines on less than 50 acres), we’ve got 200 turbines sprawling over 30,000 acres with a maze of roads in between. It makes no sense. Apologies for the essay, but the reason I took the wind farm job was to make my own call. I’d heard the “new” turbines weren’t as bad for birds (12 RPM for a 115′ blade is still too fast), but I’ve found that published stats are significantly under-reporting numbers (move over a decimal place to get more accurate) for birds and bats killed. Heidi, this is fascinating. Thanks so much for taking the time to write all that out! I have heard that vertical turbines are much safer for birds and bats…is that the new turbines you’re thinking of? My husband and I were going to try to use those when we get closer to planning our off-grid shipping container home. I’d definitely like to use a turbine that’s not going to kill local wildlife, especially bats. Do you know why the US is sprawling their wind turbines out like that? I’m like you, it seems as if it’d make more sense to cluster them closer together. I’ve never researched how Europe handles their wind turbines, but I’m definitely going to look it up now. Thanks for bringing that to my attention. Heather, you’re right about vertical axis turbines; if they’re solid blades anyway (not eggbeater style). Really, though, the discussion about “old” vs. “new” turbines is this – old turbines had lattice tower supports that birds would perch on and hunt from. New turbines have solid towers, so birds won’t perch on them. It’s significant, but the blades are now a hundred feet long instead of just a few. By all means, the “yard sized” turbines are brilliant, but passive energy savings will really add up. Since wind is relatively unpredictable and un-storable, you just need to plan around another source. Honestly I’m not sure why there is such a sprawl. Some of the spots are based on ridge lines but others seem somewhat arbitrary. If I can find it, I’ll have to pass along a link that surfaced a while ago. Bottom line was that Germany found wind turbines to be the least productive overall source of energy. I’m not sure how much of the infrastructure was factored in, but they’ve got more solar panels than our entire country and they’re as far north as CT. Surely our southern states can do better! Germany, like any nation should do, is diversifying their energy portfolio. 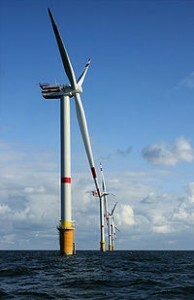 Germany is still ranked 2nd in the world in installed windpower capacity, behind the United States. Also, Germany has been in the process of replacing older wind turbines with newer models, instead of just building new wind turbine farms. Not to mention they are experiencing growing pains from relying on more alternative energy sources and dealing with such issues. The number of birds that wind turbines kill per year is extremely minute, roughly 2 birds killed per year per turbine or one-tenth of a percent of all “unnatural” bird deaths in the United States each year [Source:AWEA]. The below links have a lot more information on bird deaths and wind turbines and the general consensus seems to be this: bird deaths from wind turbines is blown out of proportion. Some solar panels are made of recyclable materials and have an overall smaller footprint. So for the bats and the birds and all that gets bulldozed to put turbines up; go solar. Zach, until you have worked under turbines for 2 years picking up bodies, you can’t really grasp the flaw of published statistics. That’s the whole reason I went to work at a wind farm. I wanted to see what the numbers were for myself. The farm was in the middle of birdless nowhere and the numbers were STILL staggering. Move the decimal point. And add at least a matching number of bats, if not more. The number of turbines is increasing every year and the locations where they are being installed inevitably have long term consequences (birds and wind have similar trends). AWEA as a source is like quoting PETA on animal cruelty. Anyway, Germany is a great role model, we just need to balance things out. As a side note, the company that I worked for was publishing incorrect data. They only reported a fraction of our finds. So take published numbers with a grain of salt; it’s sickening, but they’re painting a rosy picture when the scene on the ground is VERY different.